EASTER EGGS IN BASKETS full of rainbow-colored creations, chocolate bunnies and jelly beans, and brunch; nothing says Easter like Easter brunch, especially in sunshine Surf City USA! With ocean views, easter bunnies and delicious food, there are plenty of Easter Brunches to chose from. While the weather being perfect on Easter in Huntington Beach, you may want to bring a change of clothes and hop on over to the beach after your Easter brunch. Easter is all about Easter egg hunts, family, and making memories. 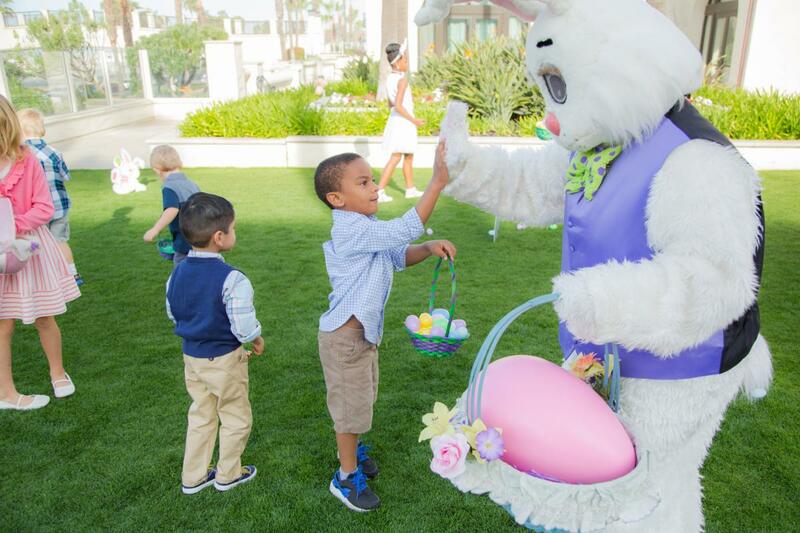 The Hyatt Regency Huntington Beach Resort & Spa will be hosting a spring spectacular with an eggstravagant brunch, Easter egg hunts (manned by the Easter Bunny himself), and live music! There will be a Raw Bar, Charcuterie Boards of Cured & Smoked Meats and Artisanal Cheese, a chocolate fountain, and more! 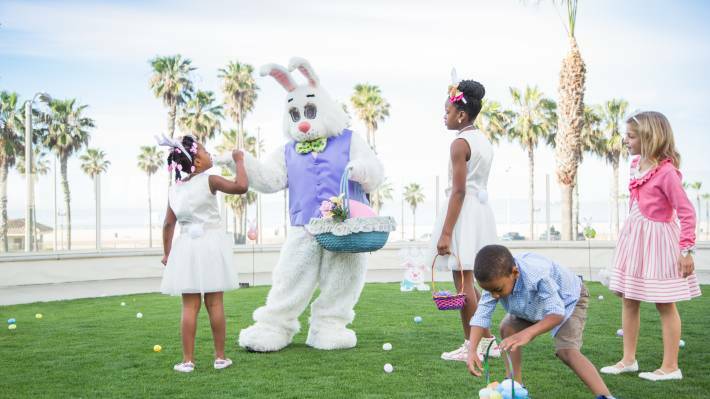 Nothing says Easter Brunch like Easter Bunny, champagne, delicious food and ocean views. Brunch will be prepared by Executive Chef Prathapan. 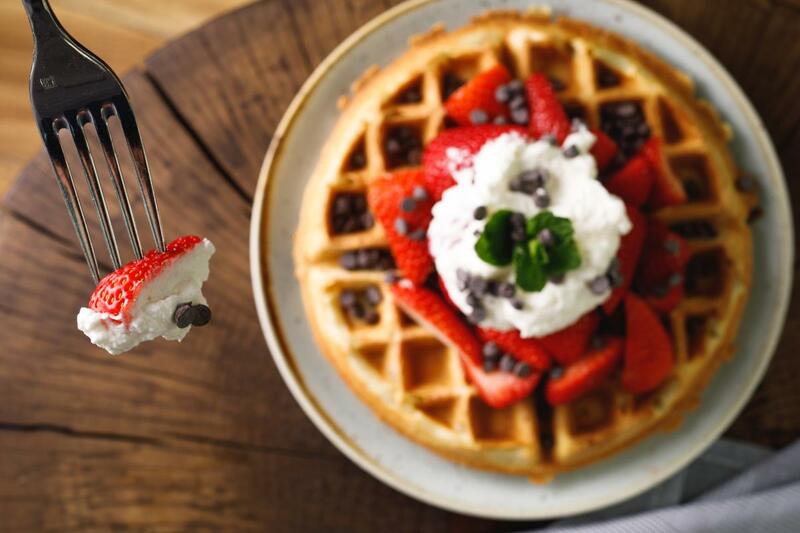 Chose a time you and your family wants to brunch: 10 AM, 11 AM, 12 PM, 1 PM, 2 PM, 3 PM. Buy tickets here. 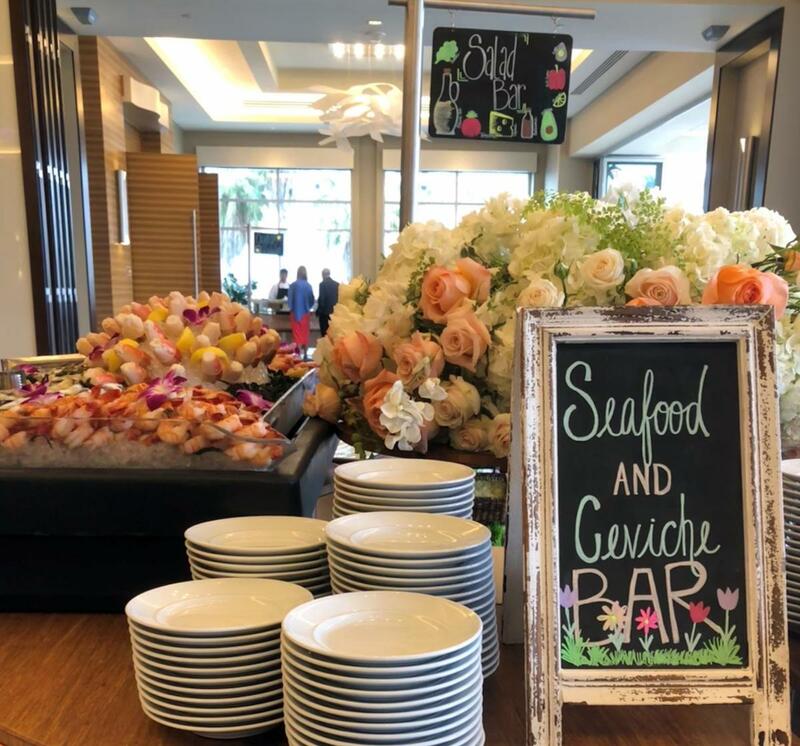 Treat the whole family to a feast of seafood, crab cakes, carving station, made to order omelets, traditional brunch classics, a kids buffet and a decadent, jaw dropping dessert display by Chef Jacky. After brunch, enjoy Easter Egg Hunts at Driftwood Beach Club and enjoy live music with a solo guitar performance during brunch. Price does not include tax and 18% Holiday service charge. Children 5 and under are complimentary. 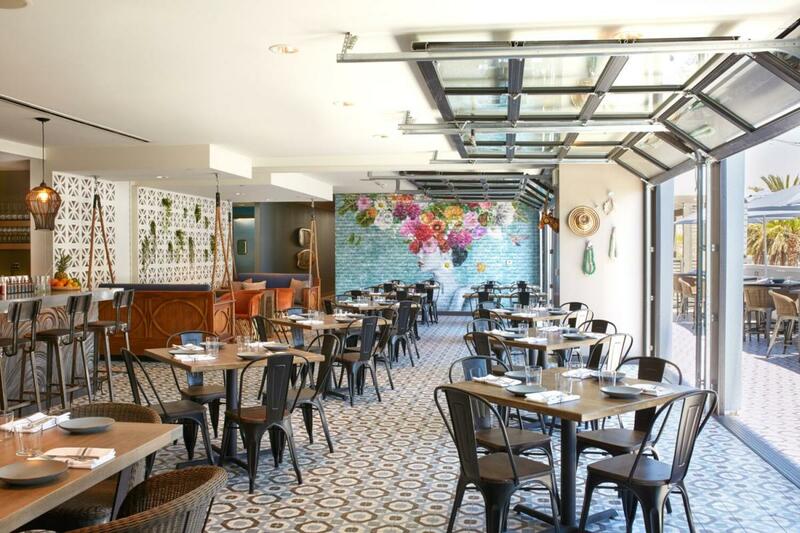 Brunch is both delicious and Insta-worthy at Pacific Hideaway, nestled in the Kimpton Shorebreak Resort just steps away from the Huntington Beach Pier. Here, fresh ingredients and unique flavors are showcased in Pacific Hideaway’s Southeast Asia and California-inspired dishes. Don’t forget to snap some photos — the restaurants vibrant colors and surfer-chic decor create the perfect background for your food snaps! Health-conscious brunchers, look no further. Broccolini, red pepper, kale egg whites, green tomato relish, salsa roja, and a rice cake make up Pacific Hideaway’s Veggies in the AM, a brunch dish that’s healthy and packed with flavor. Brunch adventure seekers will love the Lao Benny, a Latin-Asian spin on the classic eggs benedict, made with house-made lao sausage, poached eggs, pasilla peppers, and topped with hollandaise sauce. If you’re craving seafood in the morning, try the Crab Toast, featuring the house sourdough topped with blue crab, avocado, pickled red onion, and cilantro salad.